Hero is a song popularized by the Superchick band, which is in a form of rock song genre. It is all about the story of three individuals; a girl, a boy, and a bully. With the popular lyric line of; “you just have to choose”, the song empowers those who are bullied that anyone could be a hero. The tune of Adam’s Song, written and composed by California’s band, Blink-182, was based on fiction yet its chord struck those who claim their selves as victims of bullying. This is very popular, especially for those folks who were involved in the Columbine High School disaster. With the period of darkness, depression, and deep fear of bullying, the song gives the inspiration. Make It Stop (September’s Children) was the second single by the band, Rise Against, which is a part of the “It Gets Better Project.” Tim Mcllrath, the front man, spoke of this song as an inspiration of a true to life story of teenager suicides in September 2010, due to being bullied of being homosexuals. Homophobic bullying imposes tormented and feeling of being rejected from the society. Some abused homosexuals ended killing themselves as the best option. This song was written by Tim’s nephew for a best friend who killed himself one week before the song was written. 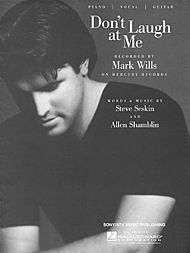 Don’t Laugh at Me, popularized by Mark Willis has the lyrics and tune that inspires kids that are bullied at school premises. Though has the same as Peter Yarrow’s song title; the lyrics are the difference. The tune in tells of a kid wearing glasses and braces who endures the countless teasing and bashing from his schoolmates. This song moved the heart of those people that are physically incapable and challenged. For those with physical insecurities, this song is the one you need to hear. 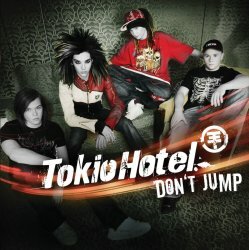 Don’t Jump by Tokio Hotel band strikes the heart of those who are bullied and thinks of suicide as the best option to escape and protect their selves. The tune talks about avoiding suicide, because there is always a better answer. Its lyrics show that people should not throw away their lives because eventually, everything will get better. That keeping on trying will make things good at the end. The lyrics; the lights will not guide you through; they’re deceiving you, don’t jump, encourages those suicidal not to falter when troubles and crisis come to life. For those pop song lovers, the anti-bullying song, When She Cries by Britt Nicole, will surely complement your ear. The bullying was all about a teenage girl who does not tell her family that she is being bullied. A girl is enormously soaked with pain, desperation to cut herself, depression, and sea of endless pain. She hides from the real world and she never gets the wit to even smile on her birthday. Here only confidant was God, Who did the revenge to the bullies for her. This song gives men the understanding, not to bully girls. Famous Selena Gomez popularized Who Says with its wonderful tune and striking lyrics. Selena felt that girls at her age tend to question their personality a lot. A lot of teenage girls are pressured with the dress to wear and how they should look like to look presentable. It is all about empowering, not only for women but also for men who feel imperfect. To fight back bullying, you need to strip those unrealistic covers you have and be proud of your skin or the real you. 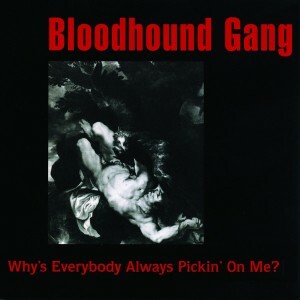 The song, Why’s Everybody Always Pickin’ on Me by Bloodhound Gang is a popular tune way back in 1996. It appeared on the “One Fierce Beer Coaster”, which follows the life of the poor Jimmy Pop. He was a boy who has this katagelophobia, a medical condition of having extreme fear of being the center of ridicule by others. The music video shows how the character managed and dealt with his condition even bullies from school is bashing him. Not only with this incapability, but to all those with physical conditions can relate and be empowered. With one of the leading country song artist, Taylor Swift with her Mean entitled song advocates against worldwide bullying problems. The message of the song encourages those who are being bullied to take their revenge by making their lives much better, such as pursuing a career. It would be the sweetest revenge to fight back the bullies. One of the best Hip-pop songs by Jessie J, Who’s Laughing Now, has made a universal impact of empowerment for those being bullied. The tune and music video shows a little girl whose being bashed at school. But, at the end, her bullies became her greatest fans. Being bullied before, Jessie J’s popularity is a proof on how bullied individuals take a sweet revenge.